All [ TERRORIUM ] music is on youtube now. Enjoy! 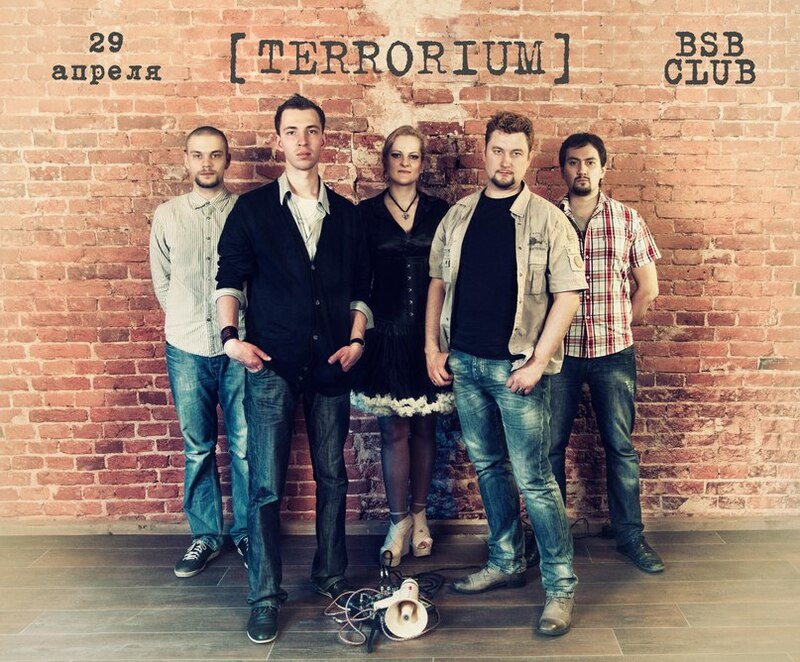 [ TERRORIUM ] will do its set April 29'th at 7 p.m., in BSB Club at: Vladivostok (Russia), Prospekt Krasnogo Znameni, 66 (public transport to Gogolya). If you happened to be that Far East - we'll be glad to see you at the concert! We are performing first in the row! If you can read Russian - here is more info. As the planned singles released, we've collected all the teasers in Video -> Teasers block. [ TERRORIUM ] On Air! Why? and K.M.S. hit the waves at Radio AVN 101 Fm! "Stay tuned", there is more to come. [ TERRORIUM ] studio work continues. First breath of the site.